March 31st in WordPress Themes by Wordpress Jedi . Developing a killer iOS or Android app could be challenging, especially when you are doing it for the first time. Even if you have the best app on the market, you need to promote it. 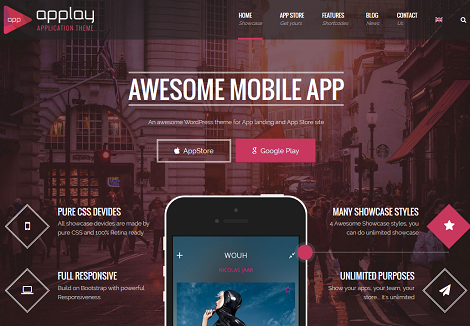 Applay happens to be a dynamic theme for app showcase sites. Whether you have one or multiple apps to sell, this theme has you covered. It has a fully responsive design, ready for Retina displays. Applay is also WooCommerce ready. Applay can automatically fetch app info from the App Store. It has 4 homepage and 3 app store variations. It ships with a drag & drop page builder. You also get a mobile showcase builder to create mobile mockups without having to use an expensive software. Applay has built-in widgets and a theme options panel, so you can customize your website without having to do any coding. Since Applay is WooCommerce integrated, you can use it to sell your app or other digital products directly. The theme is ready for RTL languages and translation. 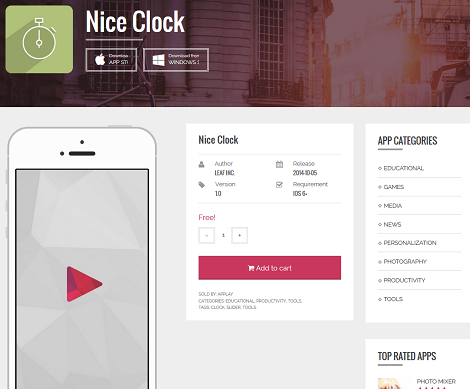 Whether you want to create an app landing page or promote multiple apps, this theme has you covered.